Wiliam Davies was born on 1 January 1883 in Abertillery, Wales and worked as a trapper in coal mines from the age of 12. He and his wife, Edith Hartson migrated to Australia in 1912 where he continued to work in the coal industry in the Wollongong area. After working as a labourer for many years, he became a member and official the Australasian Coal and Shale Employees' (Miners') Federation in the Illawarra region. He ran a campaign and succeed as a Labor candidate for the NSW Legislative Assembly in 1917, defeating J. B Nicolson. Davies held the seat of Wollongong until 1949. He served as Minister for Public Instruction in 1927 and Minister for Education from 1930 to 1932. William Davies was an old-style politician who readily welcomed members of the community at his office (114 Keira St, Wollongong) and at his home. 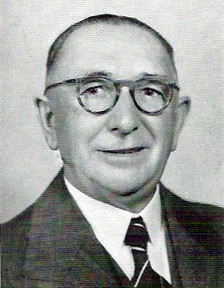 In 1949, he resigned from state politics and won the federal seat of Cunningham which he held until his death on 17 February 1956 in Wollongong. He was survived by his wife, son and daughter and his estate was swore for probate at £1494. His service to the community was recognised by a state funeral at the Wollongong Methodist Church in Crown St.